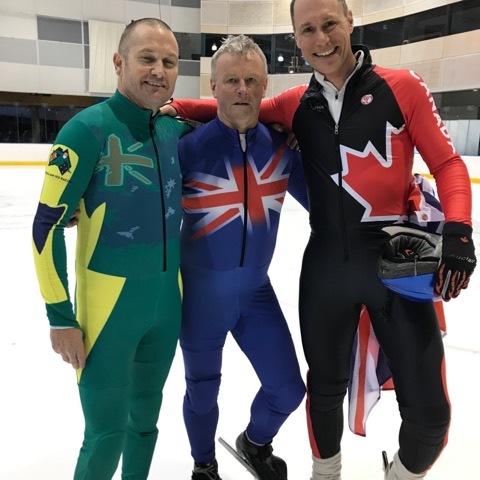 The fifth Masters International Short Track (MIST) Games that took place in Melbourne, Australia, concluded last Friday in a joyful celebration. 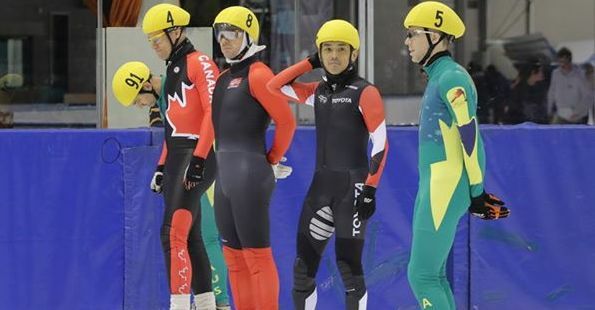 This competition, which brought together amateur and former elite speed skaters, is recognized for its friendly vibe as well as the passion of its athletes. In the Masters’ world, no heavy national organisations nor influential sponsors. Athletes mobilize themselves and help each other to make of this great international meet an undeniable success. Passion, fun, solidarity and friendly rivalry thus unfolded in the beautiful O’Brien Icehouse. During the tow-day competition, Masters battled for glory on 500 meters, 777 meters, 1000 meters, 1500 meters, and on a combined countries 3000 meter relay (men, women and mixed). The MIST Games were organised by Australian Ice Racing this year, and welcomed some great names of Masters short track speed skating, like Martin Beaudry and Gail Bouchette from Canada, Herbie Labiche and Helen Kirby from Great Britain, Gundi Pawasserat from Germany, Shane Warren from Australia, Flavio Rigon from Italy, and Satoru Terao from Japan. People may remember Terao’s participation in the Olympics in 1994, 1998, 2002, and 2006. Pawasserat, Terao (30-49), Labiche (50-59), and Warren (60+) met their fans’ expectations as they won gold in the overall ranking in their respective categories. The MIST Games divide speed skaters in nine categories of age (30-34, 35-39, 40-44, 45-49, 50-54, 55-59, 60-64, 65-69, and 70 and over). However because of the rather small number of skaters, and in order to boost competitiveness, the athletes compete in larger categories on the ice (30-49, 50-59, and 60 and over for the men, and a sole category for women). The ranking for each age category is then based on the times registered in the finals. The next MIST Games will take place in Calgary, in 2021. Let us wish all the best to this fundamental event in the world of Masters’ speed skating, because these veterans deserve all our admiration and support! Click on the link below to look up all the results. http://www.shorttrackonline.info/live.php?comp=2516. Click on the link below to learn everything about the MIST Games. https://mistgames2019.wordpress.com/.